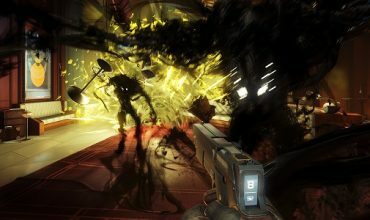 Prey is certainly looking to be one of the more interesting first-person shooters we have seen in a while. The footage we have seen so far feels a little like a Bioshock and Half-Life hybrid, with a hint of System Shock thrown in for good measure, which makes us very excited. One of the fundamentals for a good shooter is a very varied and unique armoury and it looks like Prey has no shortage of strange and wonderful weapons judging by the latest GLOO gun clip. The GLOO Cannon is basically a gun which immobilises the shape-shifting Mimics without killing them. Once they are GLOOed and stuck, the player can bash them with a wrench or anything else sturdy and watch them shatter everywhere. 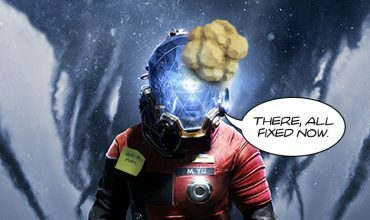 Prey is due out in May so we still have some time to kill till its release, but for now check out the GLOO Cannon in action below and let us know if you are excited for the game?